With a growing baby bump, sometimes it is hard to channel my personal style into my everyday outfits. Well, I’m here to help future moms know that it IS possible to be fashionable and rock that baby bump! Some of my favorite trends are stripes, patterned tees, dresses, and belts. As a working mom, I also needed to figure out how to turn fashionable maternity clothes into business professional outfits. 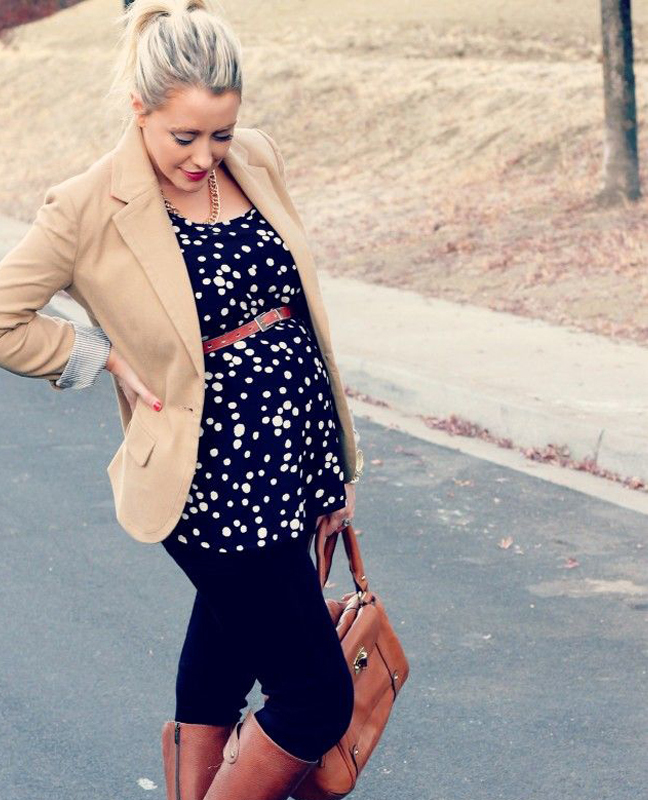 Here are some maternity styles for inspiration for the future mommies-to-be! Striped tees are a staple item in my everyday wardrobe, so I am so glad I have found a way to wear them while pregnant. These striped tees are the perfect complement to a baby bump, and give you style and comfort. I love this striped tee from Gap, and a dress version like this one! Belts: Belts make the perfect accessory to set off a simple dress, top, or sweater and give the sweetest complement to your baby bump! This Anthropologie one adds some sparkle to any outfit. Business: For me it is so important to find the balance between my work wardrobe and making sure I am comfortable while pregnant. This blazer and pink pull-over sweater are the perfect pieces to give you comfort as well as professional style. 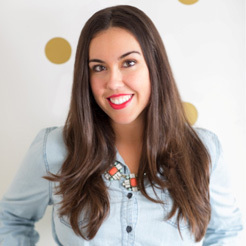 This Target top is great for work and this blazer is great for maternity wear. Patterns: Patterned maternity tops and dresses can be the perfect solution for a day when you are just not feeling the bump. With these pattered items, you are able to be stylish while making that baby bump a little less noticeable!